David is a Licensed Professional Counselor and Texas LPC Board approved Supervisor who focuses on relational and spiritual issues in individual, marriage and family settings. David desires to see God impact peoples’ lives, praying for transformation and for healing in those he serves. David is a graduate of Texas A&M University, class of 1992. David is the founding member of Wells Counseling Services. He began counseling clients in Houston in 1999. Wells Counseling Services was established in May of 2010 after David had ministered at churches while focusing on counseling individuals, families, and married couples. From January of 2013 until May 2016, David served as the Local and Global Outreach Minister at First Baptist Church Burleson before relocating to College Station, Texas to reopen Wells Counseling Services. In Burleson, he held the position of clinical director of their counseling center, job corps, benevolence ministries and oversaw strategy and direction for local and global missions. For about ten years, David worked at the Associate Minister of Counseling Services at the Julianna Poor Memorial Counseling Center of Houston’s First Baptist. JPMCC is one of the leading church-based counseling centers in the United States. During his time there, the center grew to provide nearly 8000 hours of counseling service a year. While David worked there, he developed a passion for counseling and missions while several doors opened up for him to follow the Great Commission and pursue opportunities that consisted of improving cross-cultural workers relationship with God, themselves, and their families and the rest of creation. He also developed their practicum and internship programs. David began his studies at Denver Seminary. Later on, he moved to Dallas where he attended Southwestern Baptist Theological Seminary and graduated in 1997. David is a Licensed Professional Counselor and Supervisor with a Masters in Marriage and Family Counseling. He desires to see God’s restoration in relationships and has a heart for premarital and marital counseling, father-son relationships, spiritual formation and missionary care. He was ordained at Lake Pointe Church in Rockwall, Texas. God has given David a love for the outdoors, especially the mountains which have become a place for learning and growing spiritually. He has a passion for backpacking, coaching and watching his sons’ sports, swimming and hunting. Unfortunately, he’s getting too old to play much basketball. The Lord has since placed a desire to explore God’s creativity through hiking, spiritual formation, and missions with plans to do more as God opens new doors. He is a graduate of Texas A&M University, class of 1992. David is an ordained minister that is called by God into church service and counseling. He is licensed by the state of Texas as a Licensed Professional Counselor and Supervisor. David has a Master of Arts in Marriage and Family Counseling and a Master of Arts in Religious Education from Southwestern Baptist Theological Seminary in 1997. David also has a Bachelor of Arts in Psychology with a Minor in Speech Communication from Texas A&M University. David education has prepared him to provide therapy for individuals, adolescents, marriages, families, and groups in a Biblically and theologically manner as director of Wells Counseling Services. David received his counseling license in June of 1999. Prior to this, David had finished an internship at multiple sites including Lake Point Baptist Church in Rockwall, Texas. David has also counseled at mental health facilities, a therapeutic school, in a private practice setting. From 1999 until 2009, David had served on the counseling staff at Houston’s First Baptist Church where he was the Associate Minister of Counseling Services. From July 2000, he directed practicum and internships programs and supervising others whom God was bringing into the field of counseling ministry. In 2009 David took a position as Associate Pastor of Community Groups and Counseling with Grace Bible Church in Houston Heights. Following that David then began the Wells Counseling Services in May of 2010 with the conviction that more churches need access to effective, low-cost, Biblical counseling. In January 2013, David joined First Baptist Church Burleson as the Minister of Local and Global Outreach, which he directed the counseling ministry for First Baptist Burleson in their Promises Counseling Ministry until pursuing a current journey in College Station. God has provided David with the desire to see families and relationships grow and strengthen. David works with the approach of a biblical perspective from Spiritual Direction, Family Systems, and Cognitive-Behavioral techniques. These techniques can vary from, active listening, assessments, homework, educational discussions, reading assignments, prayer, and therapeutic confrontation. throughout these techniques, it is important to focus on thoughts, beliefs, and behaviors. Here we believe that emotions can be seen as the result of the consequences of our thoughts. The purpose of the counseling relationship is to reach specific goals for individual and relational growth, which are mutually agreed upon by both the client and counselor. David has a passion to help families, couples, students, and other individuals through a biblically based, cognitive-behavioral and solution-focused approach emphasizing spiritual direction. Davids desire is to see God’s restoration in relationships and see the hearts of many change. Check out these referrals and endorsements from other people whom have worked with or respected the counseling of David Wells. These generous recommendations are received with gratitude. I have been trained to provide counseling services for individuals, couples, and families. My experience as a student intern at Texas Wesleyan’s Glick House allowed me the privilege of working with a wide variety of people dealing with issues including depression, anxiety, marital conflict, relational stress, identity confusion, and childhood trauma. I earned the majority of my practicum hours as the family, individual, and child counselor at the Johnson County Christian Lodge in Cleburne. I was also a group and individual student counselor at the Liberty House in Fort Worth, serving homeless and addiction-recovering military Veterans transitioning back to independence in the economy. I was also blessed to be a group facilitator for Tarrant County MHMR’s Tobacco Cessation Program, serving the homeless population in downtown Fort Worth. Part of my Graduate studies included extensive research on Stress factors and Resilience within military members and families subjected to frequent deployments. 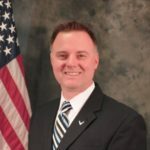 As a Veteran of the U.S. Air Force, my experience provided unique access, allowing me to interview hundreds of Airmen and their families before and after deployments. Beyond direct counseling experience, I am a Christian and have been active as a leader, facilitator, and participant in many spiritual support and Bible study groups at my church most of my adult life. When I deployed to Afghanistan with the Air Force in 2012, I established a Bible study at the Chapel for military members beginning their spiritual exploration, as well as participation as a vocalist on the base Praise Team. I also served on Praise/Worship teams at my home church, providing vocals and various instrumental support. Finally, I served as Youth Advisor for several years. Jennifer is a practicum student working towards her masters degree in Marriage and Family Therapy through Abilene Christian University. She expects to graduate in May of 2020. Jennifer is under the supervision of Dr. Shaun Burrow, PhD, LPC-Supervisor (#63973), LMFT-Supervisor (#201019). Jennifer is a native Texan and grew up in Fort Worth. She has lived in College Station since 2003 and proudly calls it home. Jennifer is a follower of Christ and an active member in her church. She is a mom to three children and is looking forward to the next stage of life as an empty-nester. Jennifer enjoys traveling, spending time with her family, going to movies, and relaxing with a good book. Jennifer earned a Bachelor’s degree in Human Development and Family Studies from Texas Tech University in 1993. As part of her degree requirements she fulfilled a practicum with Lubbock County’s Child Protective Services. She returned to school in 1994 to pursue certification in elementary education. She earned a lifetime certificate to teach in 1995 and has taught several years within both public and private schools. In 2017, Jennifer decided to return to the higher education to pursue a graduate degree in counseling. Through undergraduate coursework and experiences with teaching children, Jennifer has always been drawn to helping others. She truly feels God’s call to help the hurting, broken, and discouraged. Beyond Jennifer’s heart for helping, she is also an active member in her church. She enjoys helping teach Bible classes to children, chaperoning and hosting youth functions, and co-hosting a college Bible Study. In addition, Jennifer also serves as a mentor to college students. She has served as a member, vice president, and president on the Board of Directors for Sonshine School from 2010-2014. Jennifer and her late husband also opened, managed, and operated their own business from 2012-2016. 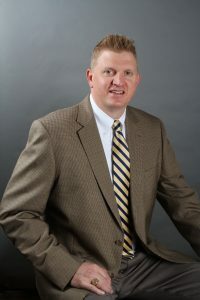 Ian F. Jones, Ph.D., Ph.D.
We seek to help people through personal and interpersonal problems through biblical truths, we want to help you wrestle well with these struggles and through hard times.